December 2, 2007 as the sun was beginning to set over Firenze Italy,Rian Kerrane, Patrick Fenech, Violetta and I made our way to the long awaited Soiree. We crossed over the Ponte Vecchio and through some narrow streets and when we thought we were lost we arrived at the historic, gracious apartment, where Aida Cui and her sister Ave Sura lived for 3 weeks. This beautiful home was once a bakery. Energy, enthusiasm, friendliness and 100,000 welcomes describes the welcome I received on December 2nd 2007 at Aida Cui's private party for the USA artists attending the Florence Biennale. 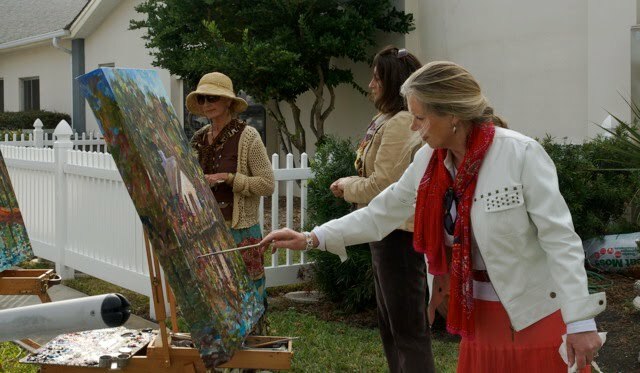 Approximately 70 American artists were invited. We did not know each other and it was so much fun planning a party, with just the email addresses of the attendees. Everyone contributed delicious hor d'ouvres and wines. The party "happened" and like all parties, the remaining 12 guests were sitting around until late in the evening. When someone asked "is this the American party" we said yes and then we all broke into laughter as all spoke with accents which were not American. Aida was born in the Phillipines, Violetta in Russia, Patrick in Malta, Rian and myself in Ireland, Gazalla in India and the list of countries goes on. Celestte sang the Ave Maria and what an incredible voice from this professional singer. Aida graduated with a Bachelor Arts in Literature from Assumption Convent, Phillipines.This proved as an important influence in her portrayal of classic icons in her work. 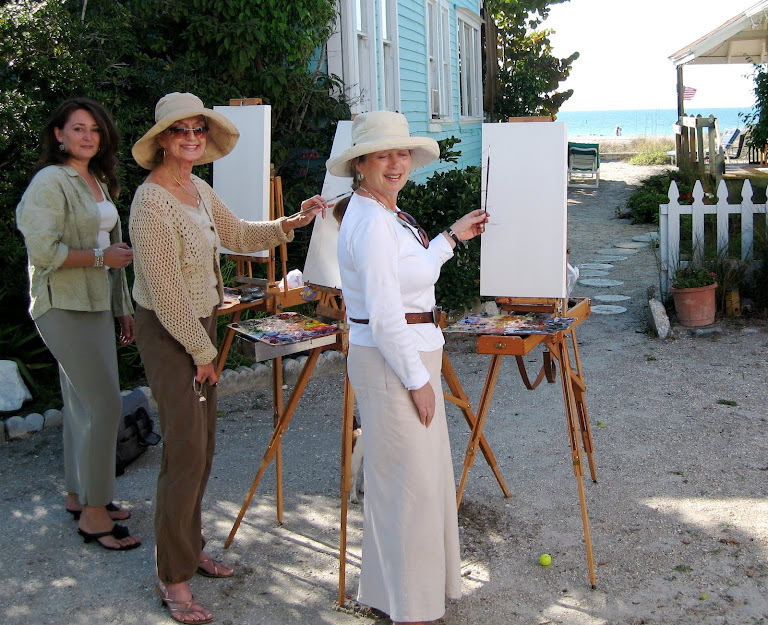 Aida maintains studios in Sedona, Arizona, Miami Beach. Florida and Budapest, Hungary. Aida's exhibition piece at the Biennale received wonderful reviews and always had groups of viewers studying it. It is called "All Is Possible". The Plein Aire Cottage Artists plan to travel to Sedona next Fall and will paint with Aida at that time.